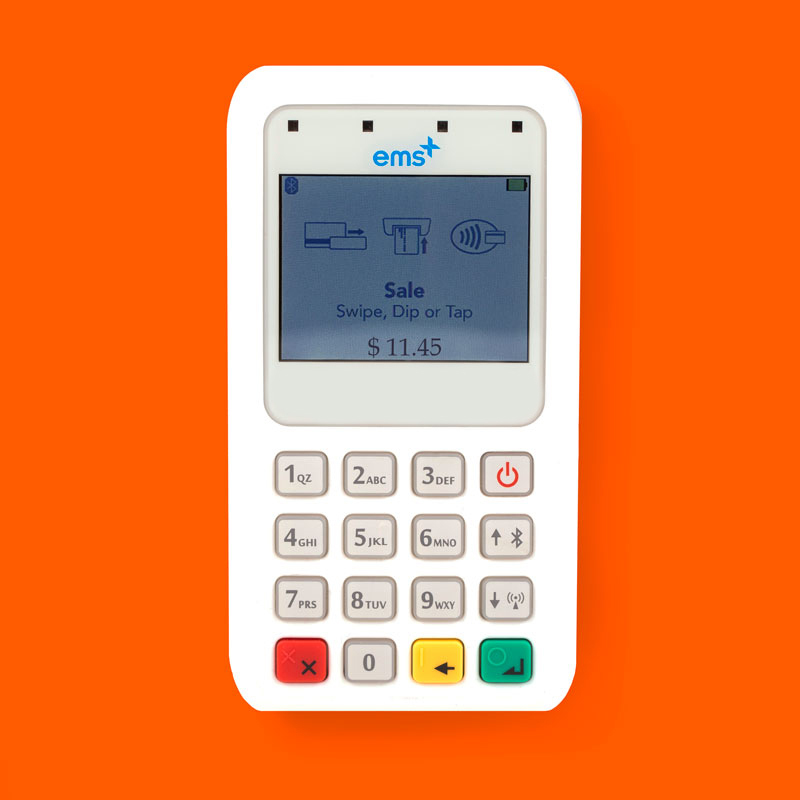 The easiest way to get started with card payments. 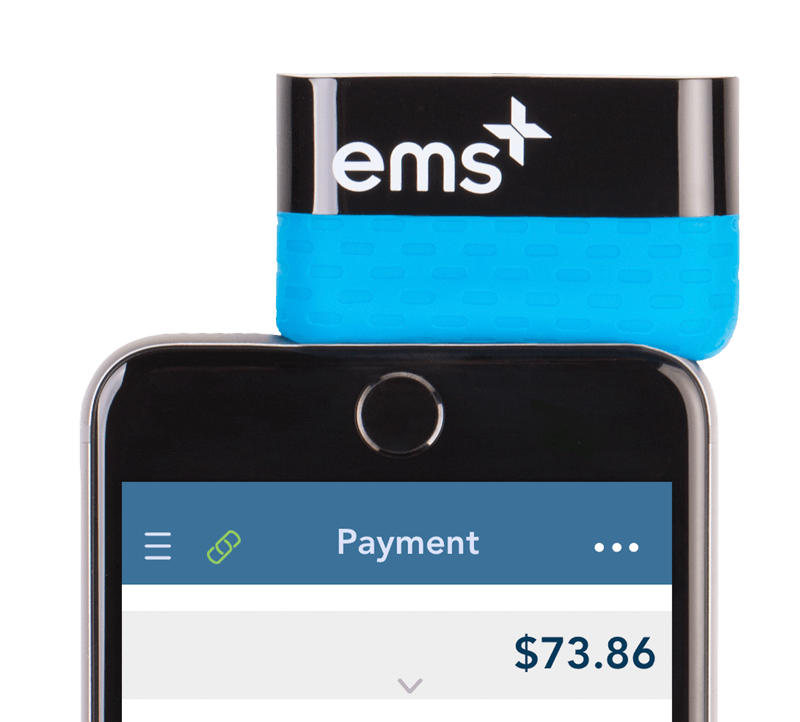 EMSplus™ is designed to provide you the best mobile swipe experience. Bigger is better when swiping a credit card. Our longer swipe path delivers a more consistent sales experience. A 2.25% swipe rate or 3.5% + 15¢ manually keyed rate is hard to beat considering we charge no other fees. Hidden fees stink, we know. That’s why there are no startup, cancellation, monthly or annual fees. The EMSplus™ Free Reader is a magnetic stripe reader that communicates with mobile devices via the headphone jack. 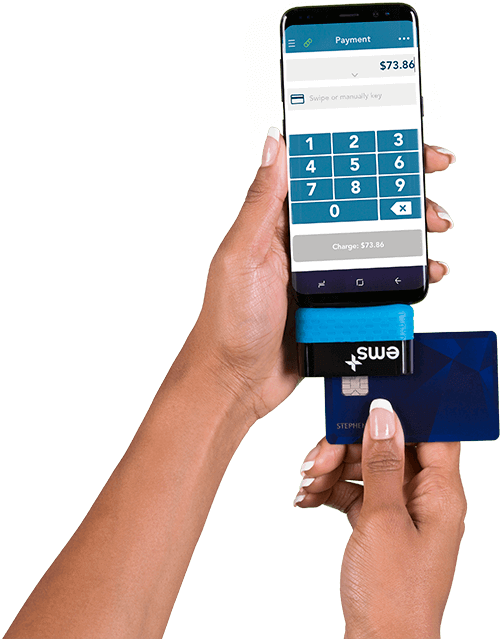 Now you can use your mobile device to read credit and debit cards. 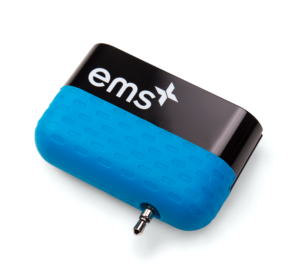 EMSplus™ comes in five colors to give you the ultimate color coordination with your device, brand or personality. 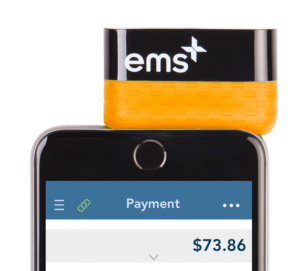 EMSplus™ offers merchants inventory management tools to add, edit, track and manage their entire inventory of products through a safe and secure customizable database directly from the EMSplus™ app. Instantly see a general overview of sales from a designated time period right from the app itself. 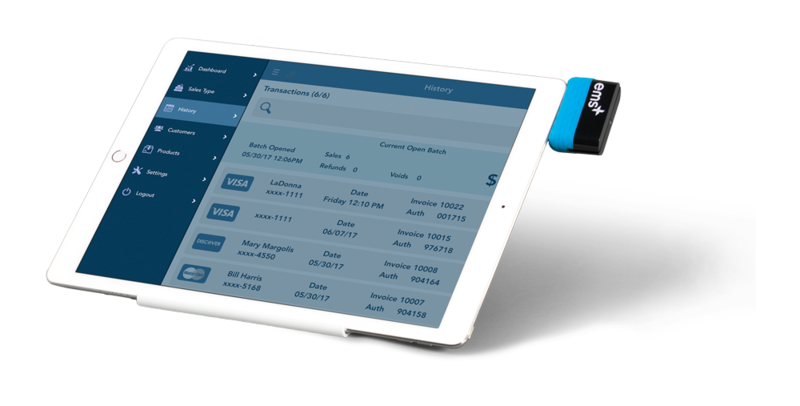 Users can track sales trends, payment methods, item or category sales and automatically close batches or run sales reports with a tap. Integrated customer management tools are available to provide users secure ways of storing important customer data, modifying records and generating reports. Accept Apple Pay or start swiping with your iPhone 7. 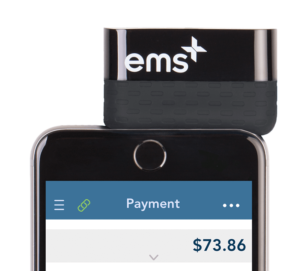 The EMSplus™ All-In-One Reader connects to your phone via bluetooth and allows for EMV, NFC and swiped transactions. Swiping with an iPhone 7? 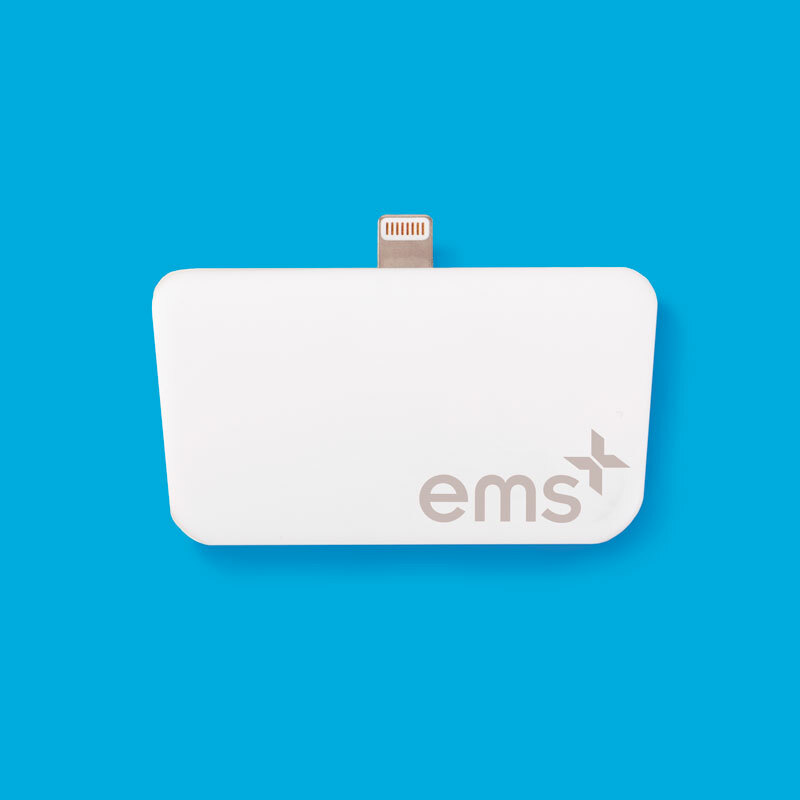 The iOS Lightning Swiper utilizes proven MagStripe reading technology, compatible with all iOS devices with a lightning port. 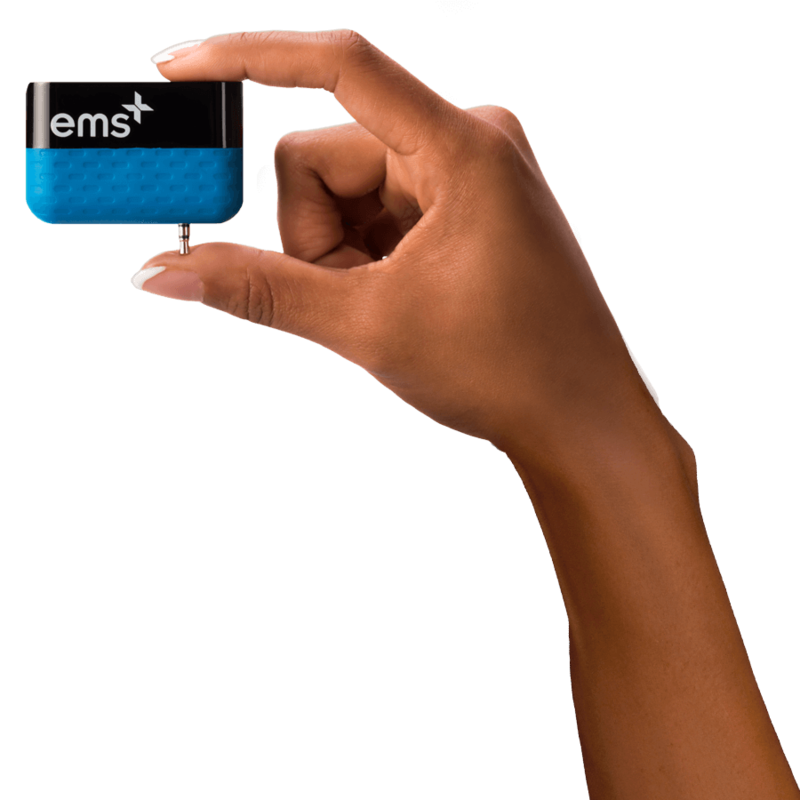 See the new All-in-One in Action! Get your free reader and start accepting payments today.